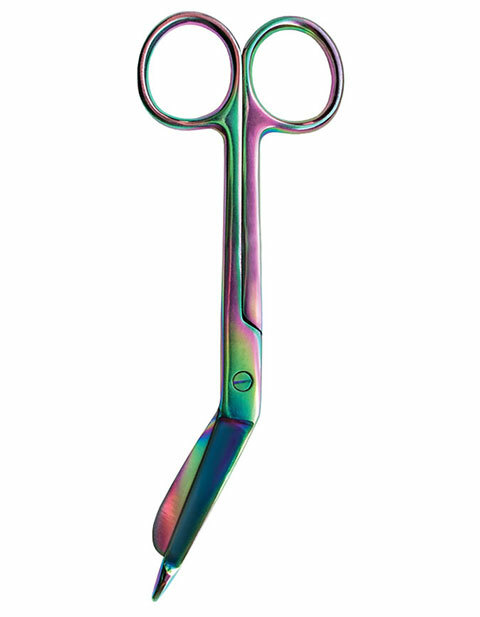 A special rainbow finish version of the traditional Lister bandage scissor by Prestige is stylish yet functional. It features a titanium-coating that is autoclavable and will NEVER fade, chip, crack or rust. To hold-up constant sterilization and usage it is been made of stainless steel. It is 5.5 inches in length.